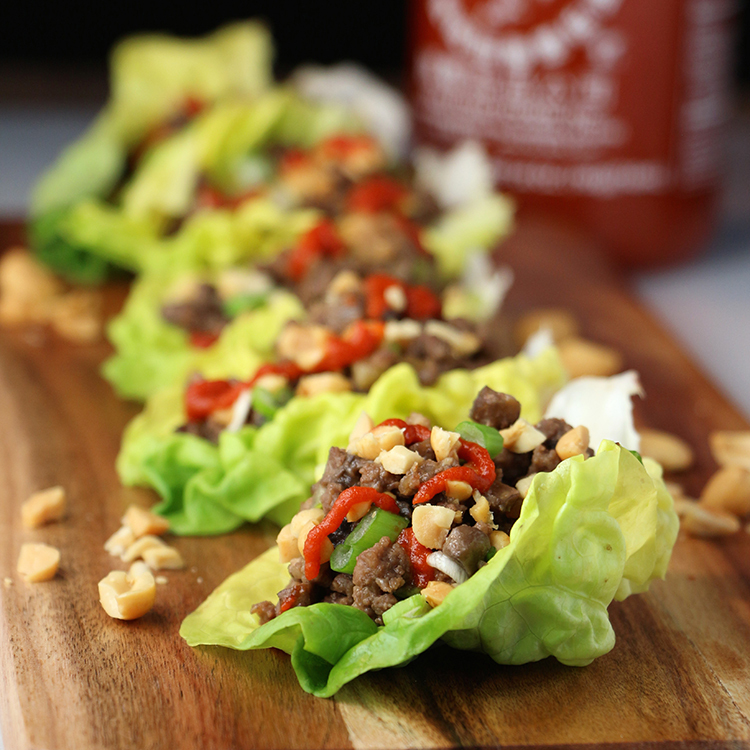 Lettuce cups are great for nights when a heavy dinner timed just before my child’s sports practice just won’t do. Flipping and tumbling in gymnastics with a heavy dinner in your belly is not something I even want to think about! Kids Cook! Get your kids involved in the kitchen by having them help out with this recipe. Here’s what they can do! * Kids can help wipe clean the mushrooms with a damp tea towel or paper towel. While you're in the kitchen together, it's a great time to catch up on each other's day too. Handling mushrooms is a baby step for reluctant mushroom eaters to give them a try. Dietitian's Tip: Lettuce cups are a great way to work a little more vegetables into our day. Kids 4-13 years of age need 5-6 servings of vegetables and fruit a day. A good way to help them get enough is to offer vegetables and fruit with each meal and snack. Juicy orange segments and red pepper strips would make a couple quick and colourful side dishes here. Mince garlic, ginger, mushrooms and onion in the food processor. *All the “Kid’s Cook!” ideas are meant as a guide only. You know what your child can safely manage. Make sure they understand your rules for working in the kitchen safely and always supervise kids in the kitchen. Remember, our goal is to get kids back in the kitchen to cook some more so have some fun. Here’s a trick I often use to stretch limited leftovers: add frozen vegetables. It’s quick, inexpensive and healthy. Kids Cook! Get your kids involved in the kitchen by having them help out with this recipe. Here’s what they can do! * Have them help measure rice or couscous and add in the frozen veggies. By using leftovers, soon enough, they could make this recipe themselves! Dietitian's Tip: Plain frozen vegetables are just as nutritious as fresh and so convenient — no washing or chopping required. And because they are less perishable compared to fresh, you may find using frozen vegetables helps to cut back on food waste too. I do love the taste of fresh local veggies but when they are out of season frozen vegetables are a great buy and a good stand in! Stir frozen peas or mixed veggies into leftover Beef and Mushroom mixture and pack with steamed rice or couscous.